Good news for all lovers from Choc-o-lait, the well-known chocolatestick that is still known as the 'grand cru' within the hot chocolates. 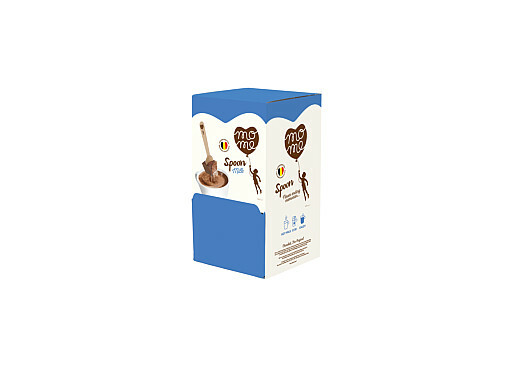 The Belgian brand now introduces Spoon: a wooden spoon with a delicious piece of Callebaut chocolate. Choc-o-lait, market leader for over ten years, wants to reach the food service industry. The wooden, workmanship spoon with Callebaut chocolate is developed for the food service industry that wants to distinguish oneself. A product that fits perfectly with the coffee and tea trend. Spoon is made with only the best quality Callebaut chocolate and is wrapped in an attractive packaging.